Meet Lana the Unicorn Llama! This adorable unicorn llama is due to be released soon! 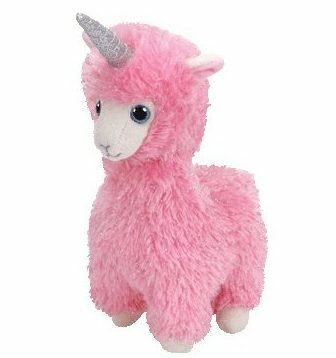 Her name is Lana and she’s a fuzzy pink llama with a sparkly silver horn. Lana will be part of the Beanie Babies range. So far, a release date hasn’t been given, but it appears she will be available in Spring this year! As of yet, I have no further details on her Birthday or poem, but I will update that when I know. What do you think of Lana?